Tethers Unlimited, an American aerospace company is busy making ‘SpiderFab’, a manufacturing system inspired by spider’s web making concept. The arachnids like robots are being built with an aim of placing gigantic objects and building big structures in orbit and beyond. 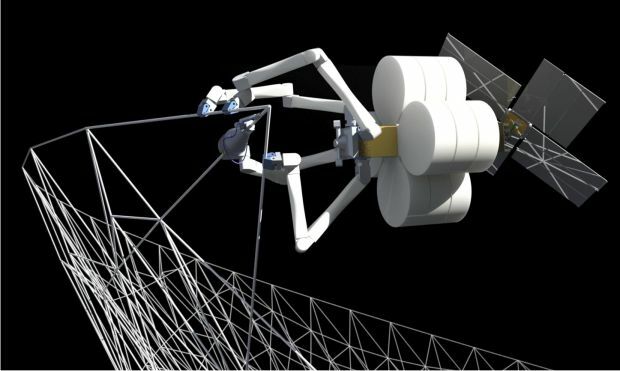 For instance, these spider bots could be employed for constructing huge radio antennas, the extendible spacecraft booms, multiple solar panels, trusses and other multifunctional structures within the coming ten years as stated by Rob Hoyt, CEO and chief scientist of Tethers Unlimited. While long term goal of the technology is to fabricate infrastructure in aerospace for supporting humanity’s expansion. Hoyt believes the building and assembling system on earth ground and then lifting them into space is an expensive and time-consuming process. Nevertheless, there are limitations with respect to systems built on earth, the deployables are far exceeding in size than the developed models since there is possibility of folding up of systems and then fitting them within a launching shroud. SpiderFab is an option that can resolve this problem with an increase in overall efficiency. 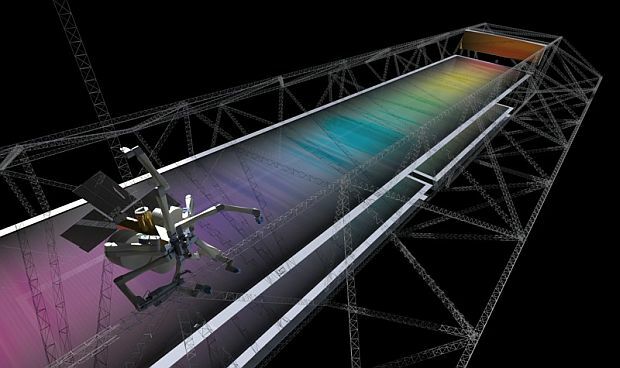 As per the concept, raw materials like carbon fiber would be launched to orbit and then the bots with their tentacles modify these materials into truss substructures, following the assembling and integration of the pieces into gigantic systems. Currently the firm is looking forward to set up apertures and baselines since the vastness of both makes them difficult to fit into the launching shrouds. Consequent upon which, NASA, DoD [Department of Defense] and commercial space missions would experience higher power, greater resolution, superior sensitivity and elevated bandwidth. What’s more, objects developed in space will have good finishing with lesser complexity than the ones launched from ground. With lessening design complexity and system mass, the overall process would lead to substantial cost savings. By enabling the self-replicating space systems, constructing and deploying spacecraft will undergo a radical change, which of course will be near to precision. As mentioned earlier, technology used for the on-orbit fabrication and integration process would lessen the life-cycle cost and at the same time, it would increase the entire major ingredient like power, bandwidth, resolution, and sensitivity for an extensive array of NASA Science and Exploration missions.